Not All Condominiums Are Equal. One of the interesting factors in selling condominiums is that the same floor plan in the same building doesn’t necessarily carry the same value. While this might seem like an obvious statement, many sellers tend to ignore this fact when it comes to selling their unit. There are factors that make one unit more valuable than the same unit in another part of the building. There are buyers that really care about having a view. Not all views are created equal. There are buyers that don’t want to have to do any remodeling or upgrading. Not all are remodeled and not all remodels are created equal. Some units come with two dedicated parking stalls. Not all condominiums, in fact very few, have this going for them. I will list some things to consider regarding remodels and conditions. Before the list, here are some first-hand examples taken from sales I have recently been involved in. 1- I had listed for sale a Condominium with no views as it was on ground level. However, the setting was spectacular. What made this unit stand out was the superb remodel the owners completed. I had it listed at the highest price offered on the a condo In this building since before the housing crash. 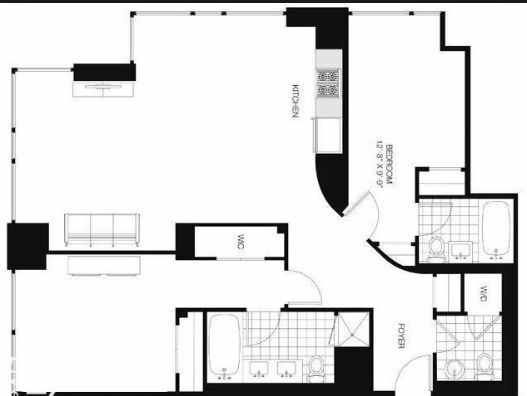 Another owner, call him owner B, having the same floor plan wanted the same value for his unit. There was a big difference in both setting and remodel. From his opinion, owner B, had also done a remodel and he was several stories higher in the building. I tried to tactfully point out how well this listed unit was remodeled and how beautiful the setting. Owner B wasn’t able to process the difference in the remodel and the fact that his higher floor view wasn’t all that impressive. Owner B went on the market with a different agent, started at a comparable price to my listing and after 3 price drops ended up renting his unit. The facts are that the quality of my listings remodel made it sell in less than a week, at the price my seller wanted. I might add I told him to list it at this high price, and he was quite surprised at my proposed value. So here we have a situation where not having a view at all was still of higher value because of the quality of the remodel. 2- Let’s name this seller Mr. Evans. He inherited a condominium that was in original 1976 condition. It had a drop dead view. He was excited to sell as the unit just one floor above had sold for top dollar. He too wanted top dollar. In essence the views were the same. Same views but different conditions. The unit above his was totally remodeled. Nothing was 1976. Everything was new. Mr. Evans wanted the same price. Of course it is my duty to advise the sellers but it is also to do what they ask, unless it’s not legal or is unethical. So I listed it at the higher price his neighbor above obtained. I am not an agent that quickly says, “it didn’t sell yet so its priced too high”. My duty is to bring enough buyer traffic to the home to support any such suggestion. We accomplished that, and lowering the price was just too painfully obvious. We received several offers that were in the logical price range. He wouldn’t even counter these offers. So what ended up happening is what happens to a lot of condo owners, owning vacant units, they get tired of paying the HOA dues and panic. Mr. Evans received an offer lower than any of the others and took it. I suggested he counter and he just took it. Later, after closing the buyer’s agent shared with me how shocked she and her client were that we just took their offer. So here we have a situation where the same floor plan and the same view were substantially different in value because of the condition of the condominium. 3- I have sold two units in a different older building where we obtained top dollar because off our having two parking stalls to include in the sale. Neither of these units had been upgraded. Both of these units had nice south views of the city. And as stated, both had two parking stalls. When I know I have priced it right to get top dollar for my clients I try and get them to hold out for their right price. Having two stalls set them both apart. What was very satisfying to me was that we got our price on both units above the criticism of other agents. They of course were trying to justify a lower price, they were working for buyers and were using square foot and exact models of units to come up with their price. Having two stalls is a big deal and in some cases is mandatory for some buyers. My opinion was substantiated when the ultimate buyer sent his wife into town to decide on the purchase. There was a unit for sale, nicely remodeled, lower price, and she liked it better. I was of course willing to sell her that one. I asked him, why are you buying my listing when your wife liked the other one better. “Yours has two stalls” was his answer. One of my clients contacted me last week. They had an offer to buy one of their stalls. They don’t use either of them. I persuaded them not to sell. They will be so grateful if they ever decided to sell their unit. Thankfully they are taking my advice. So here we have a case where the nicest remodeled unit was overlooked for the unit with two stalls, at a higher purchase price too. I have concluded that agents that are unfamiliar with the condominium market are at a disadvantage to their clients. Some hold tight to a lower price and lose out. Some list their units too low. I have had 47 transactions in the last two + years. In my first sale I was up against another agent. I suggested that the home should sell for $20,000 more than the other agent. I was given the listing, it sold within three days at full price. I might point out that the longer a unit sits on the market vacant the more painful it is to sellers because of the HOA dues. Pricing too high as Mr. Evans did was what made him take the low ball offer without trying to negotiate. He was just too fed up with paying dues. I think his reluctance to lower the price when he had offers cost him about $20,000. I was very concerned for him along the way. The following list might help you evaluate a unit for value comparisons. It would have been extremely helpful for the mentioned owner B had he been willing to consider such detail. He felt he had remodeled his unit, but in fact he had done a poor job and hadn’t considered the details in this list. The kitchen, a most important part of the home: Is it upgraded at all? Are the cabinets white, wood tone, or oak? Are they original with a stain over them? Are they painted or replaced? What type are they? Do they go to the ceiling? Interior Doors: Are they original? Are they painted or replaced? Moldings: are they crown? Do they go to the ceiling? Are they in all rooms? Do they include the baseboard? How wide are they? Floors: Are they carpet? What condition is it in? Are they wood, laminate, or engineered wood? What color area they? Wallpaper: Hopefully there is none. I guarantee you have original taste in wallpaper. What color is it? I sold a condo that was all pink. Pink wallpaper, pink floors, and pink in other places. I was actually hesitant in taking the listing. However, they owned three parking stalls, and that made the sale. The buyer was actually willing to do a total remodel. Bathrooms: Is there a tub and a shower or just a tub or a shower? Is the tub stained? What is the bottom like? How high or low are the cabinets, sinks, and counters? What type and quality are they? Are the toilets original or of a larger type? Finish: What is the finish on door knobs? What types of cabinet door pulls; brass, oil rubbed bronze, chrome, shiny, or brass? Walls: What are the colors? Hopefully they are not like one unit I did sell; every wall was a different color. Condition: Is it well cared for? Fireplace: Is there one? What is its style? What is it like? One of the benefits I bring to the table is that my wife Kathleen is part of the team. She is a many time awarded and published interior designer. She has held numerous design and staging certifications. She is retired but is there for my clients to provide feedback and has a publication she created to help set the home in tip top shape. I share this with you, it came from Kathleen. I am like many of you who don’t naturally recognize this much important detail.